Skilletransformer, i kompakt design, til reduktion af signalforstyrrelser og brummelyde, som kan opstå, fx når PC-lydkort eller bærbare PC'er tilsluttes en forstærker. "There are many little helpers available for studio, stage and home stereo systems. 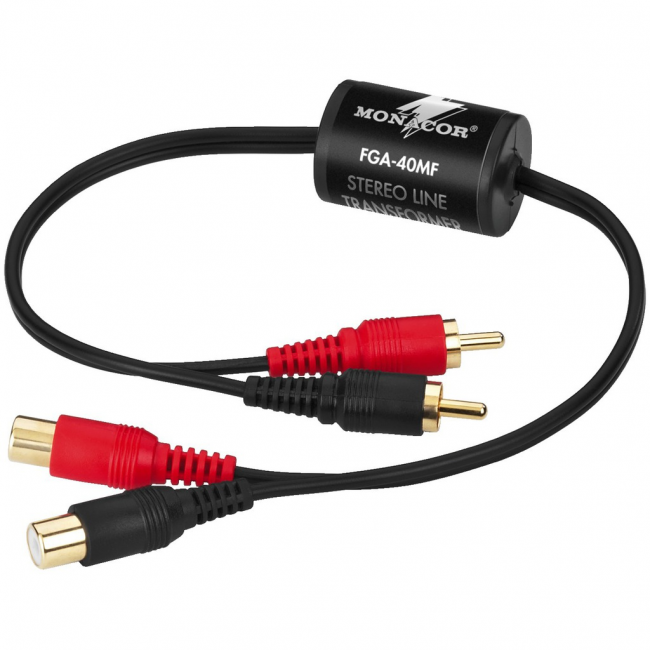 With the FGA-40MF, the product range from MONACOR includes a special transformer for unbalanced stereo line signals which is an easy-to-use aid of compact size for the protection against ground loops. And, does it work™ Of course, it does. This device prevents any hum noise previously heard when using a standard cable with stereo RCA connectors in both directions. 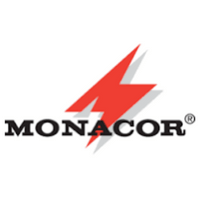 Oh, by the way: in addition to models with RCA plugs and RCA jacks, MONACOR also offers them with plugs only or with mini connectors for computers or MP3 players."